As much as I am ready for spring, I'm going to miss my faux fur when the weather gets warmer. 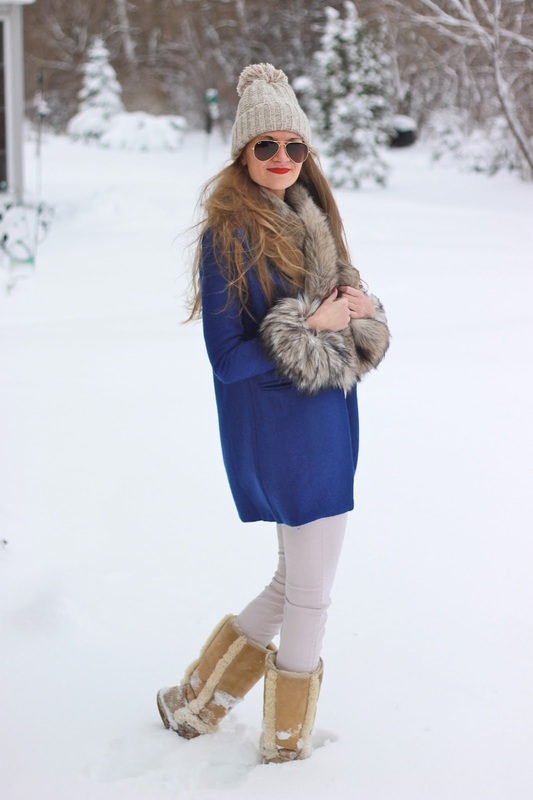 I have a LOT of faux fur, but some of my absolute favorite pieces are from Royal Scout. The quality is AMAZING and the fur cuffs are so unique! I love how they add a fun touch to any boots or coat. I'm really hoping this will be my last week of cold weather looks and that I can start posting some of my new favorites for spring. If the cold weather sticks around I'll do a spring shopping guide early next week! Have a great Monday!